We're thrilled to announce that Homeboy for Insteon Hub is now available on iOS. We've been working to bring our fast, simple, native feel to the App Store, and now you can enjoy Homeboy on your iPhone, iPad, or iPod Touch. 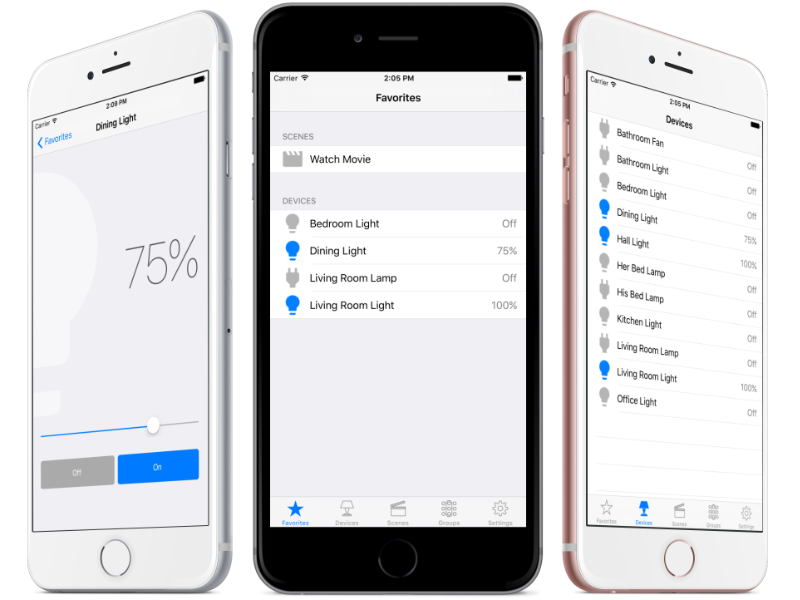 On iOS, Homeboy will control the Insteon lights, appliances, and scenes in your home, just like it does on the other platforms we support. But we've gone a step further with this version. One of our core tenets has been to embrace the native experience of our supported platforms, and iOS offers new opportunities here. Specifically, we've added support for device rotation and multitasking. Homeboy will function in any orientation your iOS device can support. 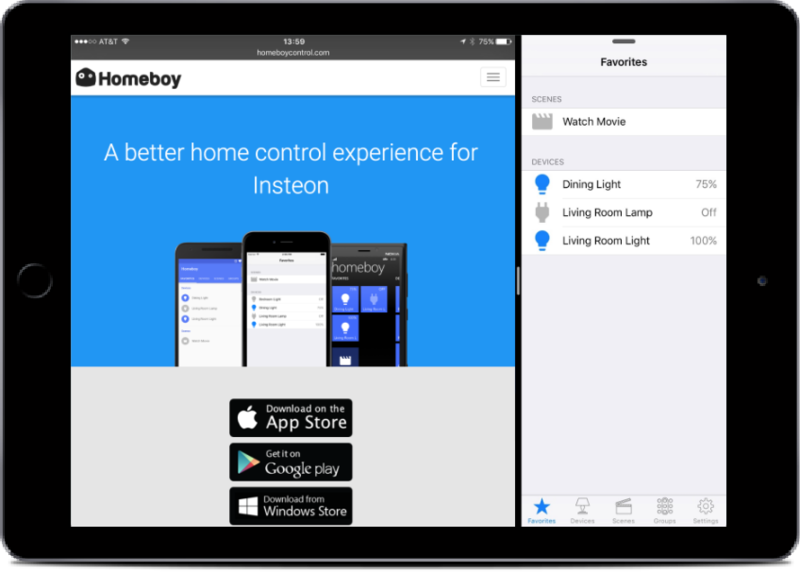 Additionally, Homeboy can be used in iPad's Slide Over and Split View modes, allowing you to quickly control your home while using your iPad for surfing, reading, drawing, or anything else! With this release, Homeboy is now available on all three of the leading mobile platforms—iOS, Android, and Windows Phone. But we're not stopping there. 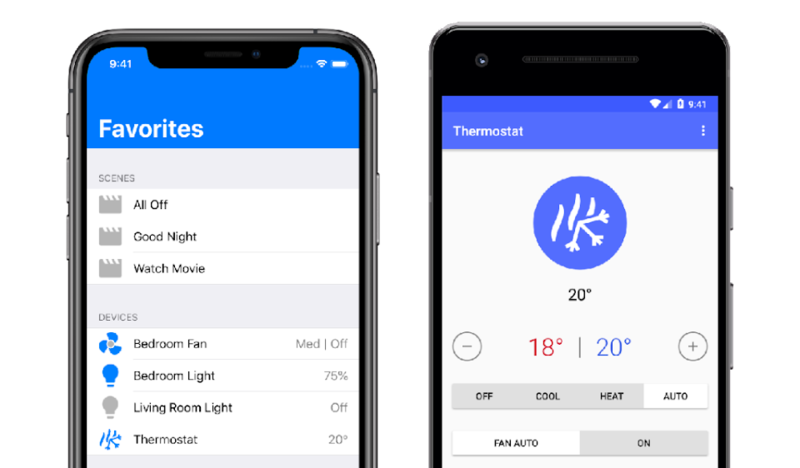 We recently previewed our work in progress on other platforms, and we plan to add new features and additional device support to ensure that Homeboy remains your favorite way to control your home. Homeboy for Insteon Hub is free, and you can download it from the App Store.